The Solstice SRS Immobilization System. Doctors say the higher doses shorten the course of a patient’s radiation therapy, meaning fewer treatments. But the process requires extraordinary precision in terms of how patients are positioned when the radiation is delivered. 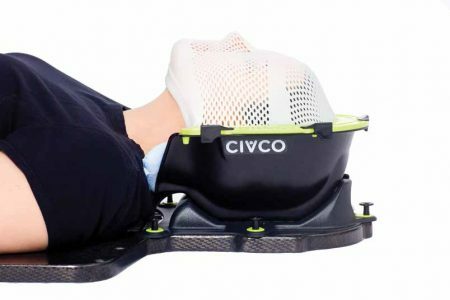 Allen Oetken, CIVCO’s lead quality engineer, said the Solstice SRS Immobilization System was designed to give doctors more control over patient positioning and more ability to “make adjustments on the fly.” The company’s intention was to create a device that restricts patient movement to no more than 1 millimeter during SRS and SRT treatment. Once the device was built, however, CIVCO needed a way to verify that it had achieved the required accuracy. After two days of tests in spring 2018, Hill and CIRAS project manager Mark Williamson ultimately created a way to attach reference points to the Solstice device and track a patient’s positioning via a scanner that ordinarily is used to create computerized designs of mechanical parts. 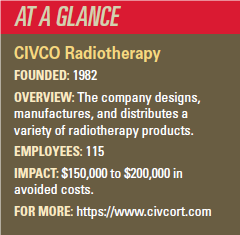 Oetken estimates that the work saved CIVCO $150,000 to $200,000 and several months of time that the company otherwise would have spent lining up a partner hospital and convincing patients to use the experimental device. In September, the U.S. Food and Drug Administration cleared the Solstice SRS Immobilization System for use. > For more information, contact Mark Williamson at mdwmson@iastate.edu or 515-509-7024.